The Old Vicarage is set in tranquil, landscaped gardens which extend to nearly one acre and provide the ideal environment for relaxation, socialising and wildlife spotting. The garden has been designed to provide level access from both floors and residents are able to walk around the grounds without negotiating any steps. 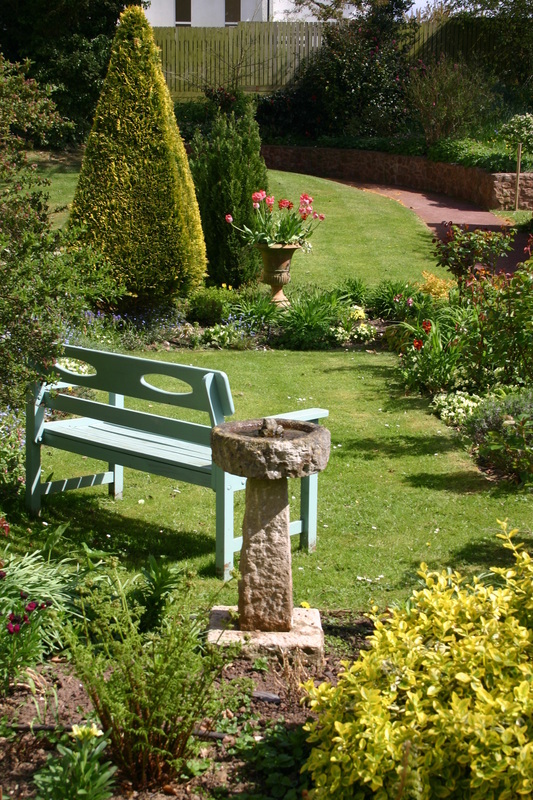 The garden has a number of open and sheltered spots in which to sit and enjoy the garden and glorious views of the surrounding countryside with family and friends. Garden furniture provides a variety of resting places. In the summer there are parasols to enjoy a relaxing afternoon out of the full sun, and a few raised beds help green fingered residents to participate in gardening activities. “Mum had a happy and contented summer with you and enjoyed the wonderful garden and the company of staff and residents.” Relative of resident, 2014. 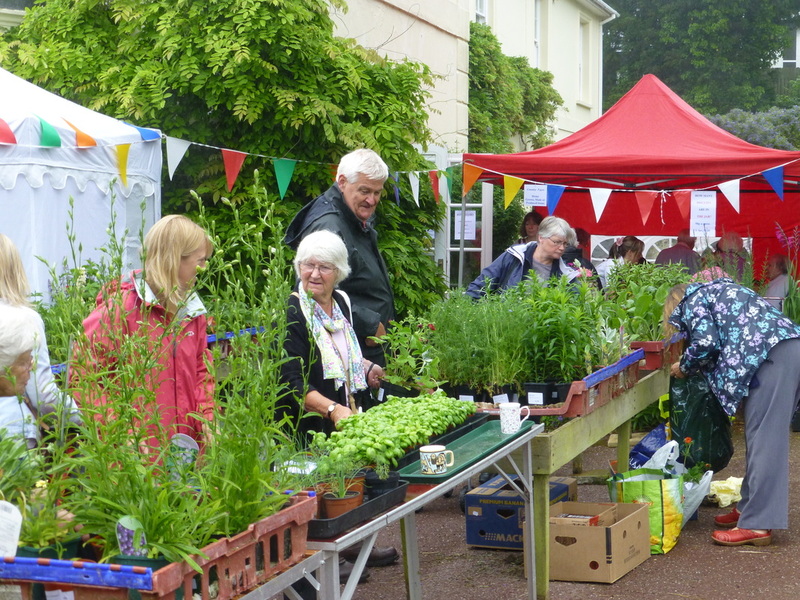 We often participate in the 'Open Gardens of Otterton', as one of numerous gardens on display in the village. In the past more than four hundred visitors toured the gardens over the weekend. In June each year our residents and staff organise our annual charity coffee morning. The front lawn is used for a display of country dancing by the local children of Otterton Primary School and the rest of the garden comes alive with stalls, marquees and the hustle bustle of village fete activities. The many specimens of trees, shrubs and flowers complement the property and provide surroundings which contribute towards a truly relaxing, peaceful and yet active retirement. Our committed gardeners work hard to provide all year round colour and variety, with favourites such as David Austin roses, dahlias and sweet peas as well as some more unusual varieties such as a rare Cladrastis tree collected from China, and one of the oldest yew trees in the country. 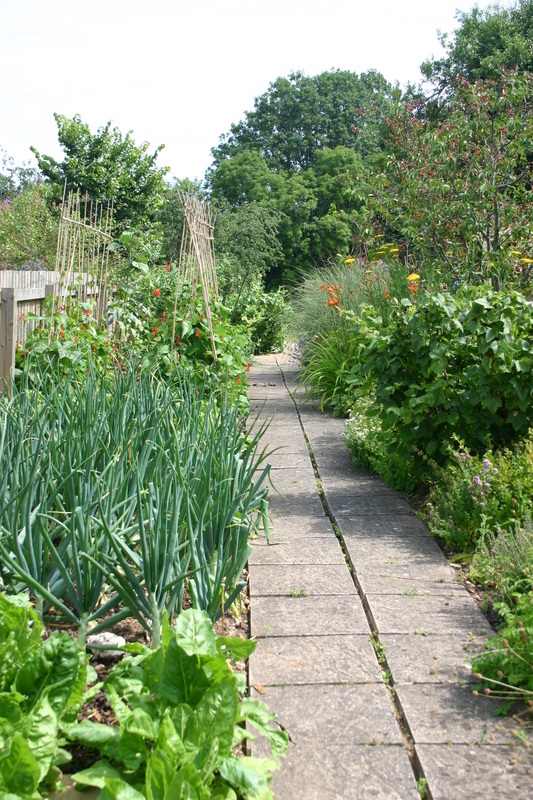 There is a small kitchen garden which provides fresh seasonal vegetables and soft fruit. Food is picked daily by our cooks, and their menus vary day by day depending on what fresh produce they gather. We have a greenhouse, shed and a specially designed potting bench to encourage our more green fingered residents to potter and help out the gardening team with their year round endeavours.